Interestingly, public speaking skills don’t tend to suffer too much during these exams. There may be a few signs of nerves, such as false starts in some sentences, or a slightly nervous voice, but typically students deliver at a good pace and make good eye contact. Occasionally, I will also see a candidate whose note-taking system isn’t fully formed yet, and who takes down ideas in an ambiguous or incomplete fashion, or misses logical links between ideas. This is generally not the main cause of poor performance during first year interpreting exams. In other words, what really suffers during first year interpreting exams is listening skills. Sometimes it feels as if the candidates haven’t HEARD whole chunks of the speech. Considering how essential listening is to the act of interpreting, it is therefore no surprise that some candidates fail their first semester exams. I should point out for the record, though, that university exams don’t set the bar impossibly high: you don’t have to get every single detail in the speech right in order to pass it. In fact, you can miss quite a lot of it out, and make several mistakes. It just depends what you miss out or get wrong. 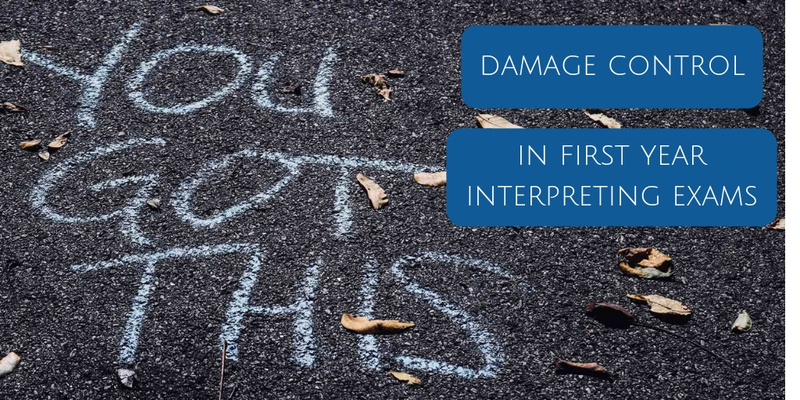 What are the deal-breakers in interpreting exams? Serious errors of logic, getting the wrong end of the stick (‘contresens’), internal contradictions or lack of internal coherence. The bottom line here is: would the client understand the argument or main idea of the speech? If not, then the interpretation hasn’t been successful. very significant omissions (e.g. whole sections or whole ideas). Make sure you have some kind of symbol to show you’ve reached the end of the speech in your notes. I have seen students leave out the last page or two of their notes and mess up the speech’s conclusion, because they thought they had reached the end – alas, they hadn’t. Making up your own story, or adding a lot of information (’embroidery’). While I like to emphasise the storytelling aspect of interpretation to make sure that students see it as an act of communication, that doesn’t mean I want students to tell A story (any old story). They’re meant to tell THE story (the speaker’s story, that is). Omitting or making mistakes with every single figure in the speech. Of course, it depends how many figures there are, and how relevant they are. But again, it boils down to whether the client is getting the message. Very poor use of target language, such that the client wouldn’t be able to follow. I’m hoping the theme is clear by now. For me, the benchmark in first semester exams is whether the client/audience can follow the speech’s main ideas and logic. As long as you have the skeleton of the speech and have conveyed the main idea clearly, you can miss out some of the details and still pass. On a side note, I’d also like to point out that your examiners actually want you to pass. Seriously. I hope it’s also clear from the above that inventing material when you’ve missed something or aren’t sure is very much worse than sticking to the main ideas. You could leave out quite a lot of secondary information and still convey the argument clearly to your audience. Sure, in time you would need to work on incorporate more detail and accuracy into your notes. But if you get into the habit of inventing information or telling a parallel story based on your background knowledge, that will make you a dangerous interpreter, and it’s a difficult habit to break. And finally, I hope it’s clear that apart from poor use of target language, the problems listed above (errors of logic, significant omissions, distortions, invention) are generally caused by not listening or not hearing well enough – although they can occasionally be caused by poor note-taking. What might lead you to have problems with listening and analysis during an exam? Because I’m an interpreter, I like structure. It helps me organise my thoughts. So I want to structure the challenges interpreters face during exams by category. The categories I’ve chosen come from in-depth research on interpreting theory Donald Rumsfeld. Remember the US Secretary of Defense in 2002 (not that I’m suggesting an interpreting exam is like a war zone, but bear with me here)? Yes, that is almost verbatim what he said. In fact, here’s the video as well. Right, let’s take a look at the knowns and the unknowns. Just to be thorough, we surely need to spend a moment discussing unknown knowns (have I mentioned I am slightly obsessive at times?). 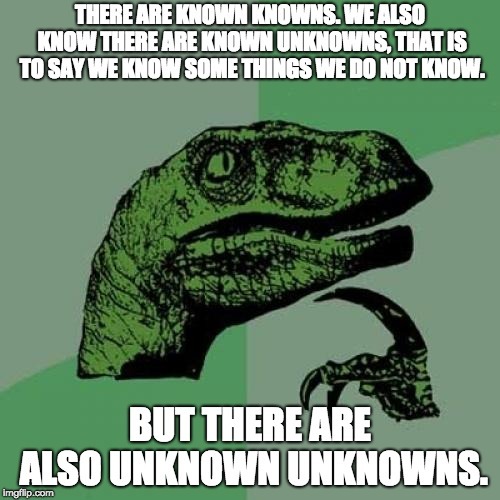 Are unknown knowns even a thing? Well, perhaps the mot juste unexpectedly comes to you while you’re interpreting, or you dredge a factoid from your deepest memory banks, having forgotten that you had that knowledge in the first place. There’s not much to say about this: rejoice, accept the boost to your confidence. And now I’m really wishing I wasn’t trying to squeeze my blog post into this logical framework. Moving on. As Rumsfeld would say, there are things we know we know. So what? Well, they’re a double edged sword. if you’ve got a great understanding of one of the ideas in the speech, and you feel really confident about it, make sure you polish your use of language. Nail the terminology and register, and watch the test panel nod like the bulldog in that annoying ad. On reflection, since that’s a very British reference, I’ll illustrate it another way. if your background knowledge is sound, you’re following a particular section of the speech really well, and you feel you can rely on your memory to fill in the blanks correctly later, take fewer notes. That way, you can look up to catch nuance and body language from your speaker, and listen even more closely to the next section. if the material is familiar or straightforward and your notes are reliable, make sure you project confidence and authority when you deliver the speech. Use eye contact and posture to sell the speech. Matching the speakers’ tone will be the icing on the cake, especially if you manage to convey irony or make the examiners laugh. As long as they’re laughing WITH you. The potential downside of known knowns? Adding information from your background knowledge. Make sure you don’t overegg the pudding – you must remain faithful to the speaker’s ideas, even if you heard exactly the same story on the news yesterday, or read it in the papers this morning, and are dying to take that ball and run with it. This is where you’re thinking: ‘Argh, I’ve just missed a figure/ I missed the link/ I didn’t catch that name/ I wasn’t clear about this idea! ; You know you don’t know. DON’T PANIC! This is what your inner voice should NOT be saying: ‘Oh no! Oh no! It’s all going wrong! I can’t do this!’ (If this is what you’re hearing, you need to train your inner voice a bit more). Yes, coping strategies, survival tactics, whatever you want to call them. Your tutors have been teaching them to you for a whole term. You know what to do! And just in case you’re thinking coping strategies are a sign of weakness because you should be able to reproduce the whole speech perfectly, dream on! Real interpreters use coping strategies all the time. Nobody’s perfect! In fact, your examiners are looking for evidence that you have absorbed good technique, and that you can cope under pressure. What better way to demonstrate all of this than by applying good coping strategies? If you know that your Target Language expression is a weakness, keep it simple. Don’t gild the lily. Keep making eye contact, and remember that interpreting is an act of communication: rather than translating the words, try to explain the ideas in simple terms. Also, don’t forget that your voice is your instrument, and you can use it to convey all sorts of things: nuance, emotion, confidence. If your note-taking is a weakness and you feel that you’re falling behind or missing information, one of your options is to sacrifice detail to make sure that the main argument of the speech is clear. If you’ve just missed something that’s potentially important, or you suddenly don’t understand the gist of the speech, or you’re feeling panicky, stop writing for a moment. Look up at the speaker. See if their facial expression or body language make sense to you. Listen to the next sentence. See if you can deduce meaning from context, and maybe note down a summary version of the idea. Now, it’s a little disingenuous of me to put these in my list, because by definition, unknown unknowns are things you don’t know you don’t know (gosh it’s getting confusing). Their effect on your interpreting performance is unpredictable: you may simply miss a trivial detail of the speech. Or you may not hear, or mishear, or misunderstand, something absolutely essential. And you won’t even know you’ve done it. In other words, unknown unknowns can plant a bomb under your whole performance. It’s unknown unknowns that can sabotage the logic of your speech and lead you to make contresens (i.e fatal errors of internal coherence or logic in the speech). How can you prevent them? Well, since you don’t know they’re happening, there’s not that much you can do during the exam. At that point, alea jacta est, as Julius Caesar would say. You need to tackle unknown unknowns before the exam. But how, since you don’t know where your weaknesses lie? Ah. Well, there are likely to be clues. If your tutors have mentioned that you need to work on comprehension of your C language, or on your background knowledge, those are big clues. Because those are the things that can lead to major errors in your interpretation. On the plus side, the more experience you gain (with interpreting, and with life), the more gaps in your knowledge you will fill in, and the less likely you are to encounter unknown unknowns in future. A moment ago, I said that you might mishear some of the information in your exam speech, or not hear it at all. This may well be a familiar phenomenon to you: the feeling that the sound is fuzzy, muffled or distant. A bit like the teacher in Charlie Brown (perhaps this is what my students hear while I’m droning on and on). Sometimes when I’m giving students feedback and discussing a particular problem in their rendition of a speech, they look at me with surprise or horror and say they didn’t even hear it. The most important thing to say about this is that it is a perfectly natural, and very common, phenomenon. In extreme forms, it’s known as auditory exclusion, and is related to stress. In situations of acute stress, hormones in the body increase alertness (generally a good thing), but the brain struggles to process all the competing information. Hearing receptors may switch off completely. You may well have heard about police officers or firefighters in extreme situations, who later can’t recall how many shots were fired, or what their colleagues were shouting at them. Even in slightly less stressful situations (! ), such as during interpreting exams or difficult assignments, hearing can be affected. In fact, I had an interesting discussion this morning with two fellow trainers about those horrible situations where we went completely blank at work. Off the top of my head, I can think of two incidents where I had no idea what the speaker had just said. The first was a Council of Ministers bilateral. It must have been announced at the last minute, because I remember arriving late, and anyone who knows me also knows that I’m the nerd who is sitting in the meeting room at 8.30 for a 10 o’clock meeting, reading the documents. The Chairman was German. I sat down, put on my headphones, listened to the first few words of the meeting, and understood zilch. All I could say was ‘good morning!’. At that point, the Chairman repeated himself (around the pipe in his mouth that was making his speech all but unintelligible), and I understood he wanted to discuss milk quotas. The meeting continued. Nobody lodged a complaint. I wasn’t fired. Life went on. The other time was a bilateral with a Greek delegation, in consecutive. The chairman asked the delegates to kick off with introductions. One of them launched into an explanation of his position in local government. After the first couple of unknown words (see, there were known unknowns), my eyes glazed over and I heard nothing more. I had to ask him to repeat himself. I grasped more of what he wanted to say the second time around (but not everything). I wished the floor would open up and swallow me. But the meeting went on. Nobody died (including me). Nobody lodged a complaint. I wasn’t fired. At the end of the day, my clients thanked me and I felt satisfied overall with my performance, apart from the initial horror. Are you seeing a theme here? I screwed up, definitely. But not for long. As an interpreter, you have to be able to snap out of it and keep going. Radio silence is not an option, and nor is wallowing in your own inadequacies (even if you remember them with acute dismay years later). Coming back to the reasons why you might not hear every word your speaker utters, let me tell you about a study by John Hopkins University, published in the Journal of Neuroscience, which demonstrated that attention is effectively a zero-sum game. Directing attention to listening turns down attention to the visual parts of the brain, and vice versa. What does this mean for interpreters? It means that split attention is a myth. Well, OK, that’s a little extreme. But it certainly means that you can’t give equal attention to several things. You can’t look, listen, and pay attention equally well, or as well as if you weren’t multi-tasking. If you go into the exam room nervous, and your whole focus is on the examiners, you won’t be listening so well. If you have a touch of tunnel vision (which, by the way, doesn’t mean that you’re seeing things as if through a tunnel; it just means that you have an extreme focus on one part of the room), and you are focusing on your notes, you won’t be listening so well. If you’re listening very closely to the exclusion of everything else, you won’t be able to pay 100% attention to your notes. Brief digression just to say this research explains why driving and talking on a mobile phone (even hands free) can be catastrophic. If you are talking and listening, your brain will automatically ‘turn the volume down’ on your visual acuity and ability to react to changing road conditions. It’s not just a matter of being distracted; you simply will not see as well or react so quickly to potential hazards if you’re talking on the phone. But back to interpreting. If your brain literally turns down the sound volume when you’re note-taking, how are you supposed to do your job properly, or pass an exam? 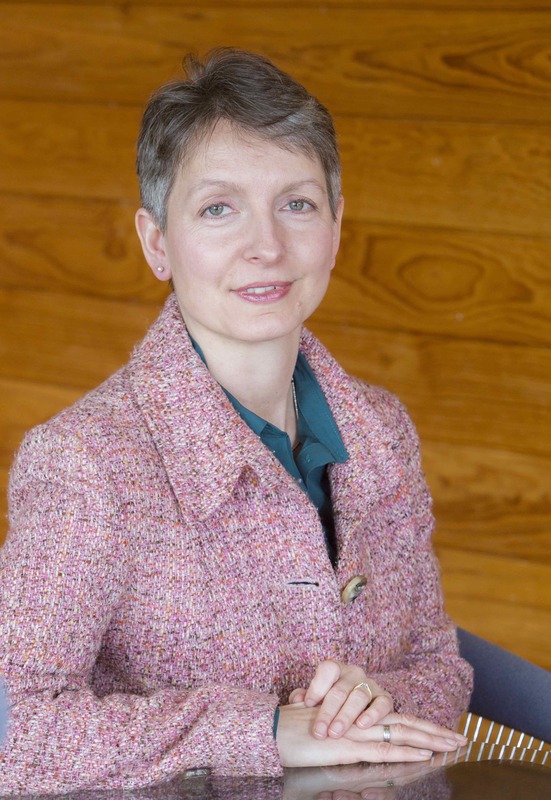 Well, let’s not forget that plenty of experienced interpreters do a great job, even though they are labouring under the same limitations as exam candidates. They are able to devote enough attention to each interpreting sub-skill to get the job done adequately. So all is not lost, just because you can’t devote 100% attention to each individual task you’re performing simultaneously (by the way, that would be at least 400%, and what with the zero-sum game thing, I feel it’s time I moved on from mathematical metaphors). Let me give you a little tool kit for dealing with diminished hearing and tunnel vision under stress. You’ve passed the first hurdle, which is being aware that this can happen. You are less likely to panic during the exam if you know that your hearing might initially be a bit fuzzy. The important thing is to snap out of it quickly. It’s also worth knowing (from research on athletes) that fine motor skills such as writing deteriorate at heart rates above 115 BPM (beats per minute). In other words, if your heart rate is elevated when you walk into the exam room, don’t be surprised if your note-taking suffers a little. The consolation is that cognitive function is at its peak between 115 and 145 BPM, so there’s always a silver lining. How to snap out of it? When you walk into the exam room and sit down, scan the room. Try to unlock your senses and ask yourself ‘what am I missing?’. The simple act of looking side to side can help disrupt tunnel vision. If you think looking from side to side might make you look a bit shifty, try having a look round for your water bottle and taking a sip of water. Take three deep breaths into your belly. Don’t take shallow breaths into your chest; it’ll just make you feel more on edge. If you need some extra help snapping out of it, you could try having an elastic band, loom band, friendship bracelet or scrunchie around your wrist. Just snap it once if you feel your vision or hearing going a bit funny. Switch off your judgemental inner voice. As soon as you start listening to the voice that says it’s all going wrong, you’re into the spiral of doom. Leave the negative inner monologue at the door. These are all practical tips, but it’s worth saying that a big part of avoiding these sorts of problems during exams is stress management (and practice!) before the exams. There are steps you can take just before the exam, and things you can do in the weeks and months leading up to the exam. Most of this is beyond the scope of this article and involves techniques such as meditation and visualisation. If you’re interested, you can watch a replay of a stress management webinar I gave recently. I will just briefly mention patterned breathing, as a simple, and very effective, method of feeling more in control just before you walk into the exam room. Inhale for a count of 4. Hold the in breath for 4. Exhale for a count of 4, hold for 4. Rinse and repeat until you feel calmer. That’s it! Don’t forget to do a warm-up speech just before your interpreting exam, to get into the note-taking groove and work out some of the shakiness. Pick a supportive partner to give you a speech, and make sure it’s simple. The aim isn’t to challenge you, but to boost your confidence and take the edge off. Have you ever experienced diminished hearing in a stressful situation? Did you find a technique that helped?